We recommend using our envelopes to get the best from your folding and inserting machine. Our envelopes are designed, tested and produced especially for our mailing equipment. 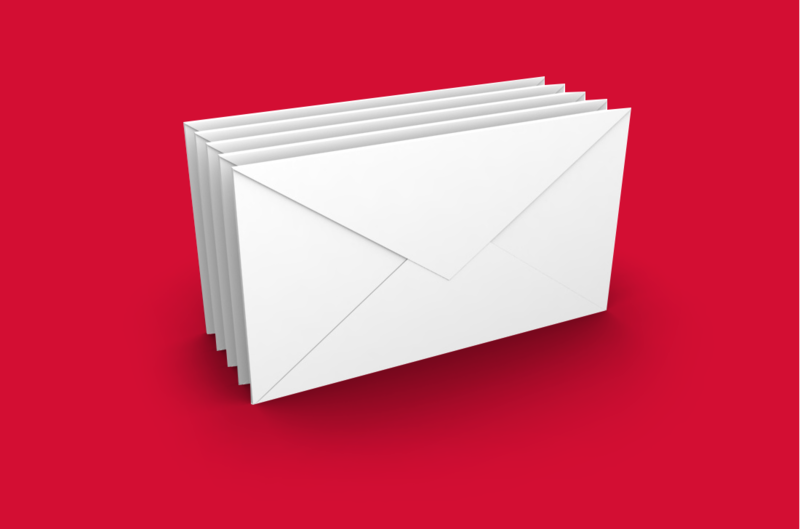 If you have any questions about our envelopes or would like a quotation, please call us directly on 01322 288890. Are you hand folding your documents and manually putting them into envelopes? We supply machines that do this automatically. Find out about our folding and inserting machines. Whether you are looking for plain envelopes or printed envelopes, this is a great place to start. Fill in the form below with your information and requirements and we'll send you full details of our envelopes to help you make a more informed choice.